Amazing Toll Brother’s home (4bed/4bath + office + theater) in highly sought after luxurious gated community of Sonoran Foothills. Within walking distance of top rated K-8 school, community center, and pool. Home is highly upgraded with travertine stone and wood floors, 8 foot interior doors, coffered ceilings, crown molding, decorator two-tone paint. A huge gourmet kitchen with 42” cabinetry, White Ice granite countertops with white marble subway tile backsplash, and stainless steel appliances. 5 burner gas cook top and double ovens. Cozy gas fireplace with beautiful wood mantle, custom built-in Stonecreek bookshelf. Large bedrooms with walk in closets. Full bathroom on first floor next to office. Private home theater with tiered seating and wired for projector and 7.1 surround. Please, send me more information on this property: MLS# 5909965 – $535,000 – 2012 W Calle Del Sol --, Phoenix, AZ 85085. 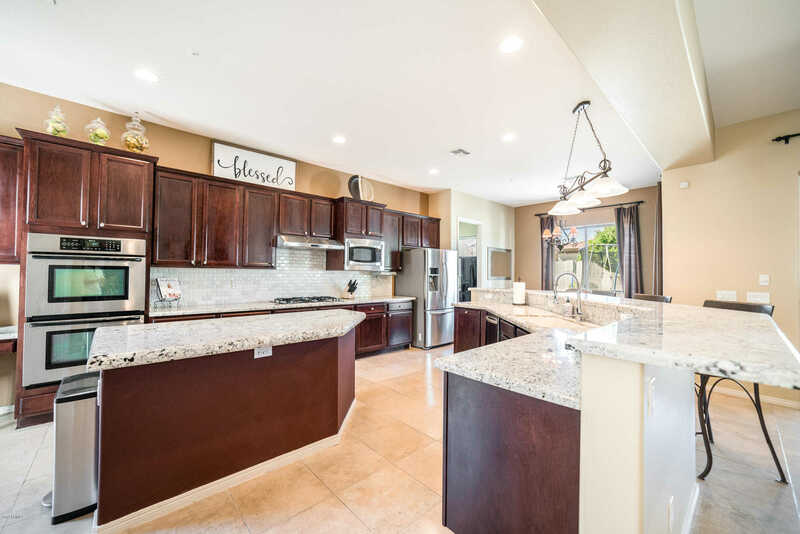 I would like to schedule a private showing for this property: MLS# 5909965 – $535,000 – 2012 W Calle Del Sol --, Phoenix, AZ 85085.